Gusto and Zenefits are online HR software that manage employee data, run payroll, and provide employer-sponsored benefits. Gusto is easier to use and includes payroll and contractor payments in its base price, whereas Zenefits provides payroll as an add-on. However, Zenefits’ HR options like performance management are helpful once you scale beyond your first 100 employees. Gusto is best for small businesses with one to 99 employees. It offers a professional new hire onboarding experience and employee benefits, and also runs tax-compliant payroll as well as manages payments to independent contractors. It’s affordably priced, easy to use, and allows companies to provide direct deposit, health insurance, and an employee self-service portal. Try Gusto free for 30-days. Zenefits is great for companies between 10 and 500 employees. It provides a robust HR software system that lets you add services like payroll processing and pre-tax benefits insurance at extra cost. Unlike Gusto, which includes payroll processing in its base price, with Zenefits the base price includes HR tools only. If HR is all you need, it’s a solid choice. Sign up for a demo. Some small businesses prefer to work with a traditional payroll provider that has more industry expertise and customization options than either Gusto or Zenefits. ADP is the payroll industry leader. It provides multiple payroll service options, including self-service payroll, you can run online, or it can serve as a full-service professional employer organization (PEO). A PEO can manage all HR, benefits, and payroll on your behalf. ADP offers more standard reports and features like recruiting and training than either Gusto or Zenefits. Get a free ADP quote. Both Zenefits and Gusto are built to support small businesses. Gusto started out focused on HR and payroll, while Zenefits started out focused on HR and benefits. These days, they offer similar services with slightly different features within each of their pricing tiers. Price: Both offer great features starting at under $50 per month. Gusto includes payroll at that price. Ease of use: Both are easy to set up and use, and both offer employee self-service. Customer reviews: Both receive solid reviews on third-party websites, including ours. HR compliance: Both offer HR compliance with ACA, ERISA, and other labor laws. 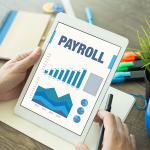 Payroll and taxes: Both can manage your business payroll and taxes, including providing direct deposit for your employees and managing state new hire reporting. Employee benefits: Both can administer employee benefits like health insurance. Mobile: Both are cloud-based and can be accessed through a mobile device. For companies with 50 or fewer employees, Gusto is likely to provide the best value, as you’ll receive HR functions, an employee database, payroll processing, and benefits administration for one low price. However, once you grow past about 100 employees, Zenefits, although more costly, will make it easier for your business to scale with features like performance management. Both Zenefits and Gusto price their software as a service (SaaS) based on the number of employees you have. Gusto’s prices range from $6 to 12 per employee, per month—the same as Zenefits. Both charge a monthly fee as well; Gusto’s starts at $39 and Zenefits starts at $40 per month. However, Gusto’s basic HR package includes payroll, whereas Zenefits’ does not. With Zenefits, it’s $6 per employee, per month extra to add on payroll processing. In addition, Gusto can manage independent contractor payments through its site, whereas with Zenefits, you’ll need to purchase a different application that doesn’t integrate with your HR system. *Zenefits can be interfaced to third-party payroll processing, including Gusto, in case you want the HR features of Zenefits combined with Gusto’s robust and easy-to-manage payroll software. If you’re looking for basic HR and payroll with the ability to offer your employees health insurance or other benefits, Gusto is your lower-cost option, and it will include support for basic HR and payroll questions. However, if your business is growing fast past 100 employees and you want an HR tool that includes performance management, then Zenefits may save you from having to upgrade or purchase additional software later. Gusto provides three pricing tiers that include both a base price per month and a monthly per employee price. The base prices range from $39 to $149 per month and the monthly per employee rates range from $6 to 12 per month. As you can see from the chart below, the Basic package includes so much that it’s not often necessary to upgrade unless you need additional features. Gusto provides basic HR and complete payroll starting at only $45 per month. Here’s a side-by-side comparison of how Gusto prices their three tiers of service. The Gusto Core plan is the most affordable plan; it includes an HR database with employee profiles and employee self-service. It’s great for any start-up or small business that wants to run payroll and maybe even offer benefits. It has built-in paid time off policies and includes full-service payroll that’s easy to set up and use. Even in this lowest-priced tier, you’ll get the administration of employee health insurance, workers’ comp, employee benefits, tip management, accounting integrations, state new hire reporting, and all tax filings—with no upcharges for employees working in multiple states. The Gusto Complete package adds administrative permissions, which is helpful if you want one or more individuals to help you manage employee data. This is a great option for a business that’s got an HR or payroll manager on staff. You’ll also get a secure document vault, online offer letters, and custom documents that employees can e-sign as part of onboarding. The Gusto Complete plan also manages worker time, tracks time off, provides an employee directory, allows you to customize employee data fields, and even conduct surveys of your employees to see if they are engaged and happy. The Gusto Concierge plan is the most expensive and gives you HR and payroll compliance assistance along with HR resources and tools, such as job description templates, a custom employee handbook, policy templates, and even harassment prevention training. It’s best for businesses operating in multiple states that need to manage unique state and local compliance issues. It’s also great for businesses that are growing or manage workers across state lines and don’t want to have any mistakes when managing their workforce. In this tier, you’ll also get a dedicated support team and a direct line for phone support. Gusto is super intuitive for you and your employees. Setting it up doesn’t take days and weeks as it might with ADP and its competitors. Instead, you sign up for an account and follow the series of questions provided—in plain English. There’s an online chat feature that you can ask questions of as you go. A real person will answer, not a chatbot. You may be set up and running within an hour or so. Gusto makes it easy to set up your software yourself, step-by-step. Payroll is the feature where Gusto really shines. In fact, Zenefits offers payroll, but also offers an interface to Gusto payroll for those clients who prefer Gusto. Gusto can manage payroll in all 50 states and includes tax filings and payments as well as W-2s and 1099s. In contrast, contractor payments must be done in Zenefits using a separate app that’s not integrated. Gusto provides unemployment insurance and garnishments processing as well as pay-as-you-go workers’ comp. Gusto offers a basic timekeeping package if you upgrade to the Complete package, but what’s great is they have a free interface to Homebase, which is timekeeping software that’s free. That Homebase interface provides free scheduling as well as time and attendance for one location, with data passing from Homebase to Gusto to ensure overtime compliance and payroll accuracy. In fact, we consider Homebase to be the best time and attendance system for small business. But if you use some other time clock system, it’s not difficult to set up an interface to pass that data into Gusto. Gusto is a benefits broker in 24 states and will work with you to administer health insurance in other states. Zenefits used to be its own insurance broker as well, but now works through a third-party service. With Gusto, you can offer your employees ACA, HIPAA, and ERISA-compliant health benefits with online enrollment. Its support team will even provide benefits consulting for your employees and assist with COBRA if your state requires it for a company of your size. Gusto provides a dozen standard reports that you can run by employee, state, work location, or department, such as employee information, payroll register, benefits report, and paid time off summary. In addition, you can export data from Gusto into a CSV file format that allows you to import it to your other business software or do your own data analytics. If you need to Gusto to connect with data in your other business software, it provides an application interface referred to as Gusto API. Gusto does not have a mobile app. Rather, it provides a mobile-optimized website that gives your employees all the features of the HR self-service portal available from their smartphone. As an administrator, you can also manage functions from HR to payroll processing using any internet-connected device. With Gusto, you have to upgrade to the Concierge plan to get some of the HR resources that Zenefits provides in its Standard pricing tier, like a company org chart. Once you upgrade with Gusto, you’ll get compliance updates, HR guides, policy templates, job description templates, and a customized employee handbook. Even better, you’ll get certified HR experts who can answer your questions, advise you on employment law, and suggest best practices for your business. 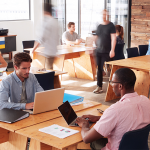 Gusto makes sense for small businesses from one to 99 employees that want the benefit of HR software and employee health insurance for the price they’d typically pay to get payroll processing alone. Gusto’s features make it easy to manage your workforce in one online software package. Try Gusto free for 30 days. At first glance, it may appear that Zenefits is priced almost the same as Gusto, with a $40 monthly fee and $6 per employee, per month rate. But the difference is that Gusto provides HR and payroll for that price, whereas Zenefits only provides HR features. Payroll with Zenefits costs $6 per employee, per month extra. 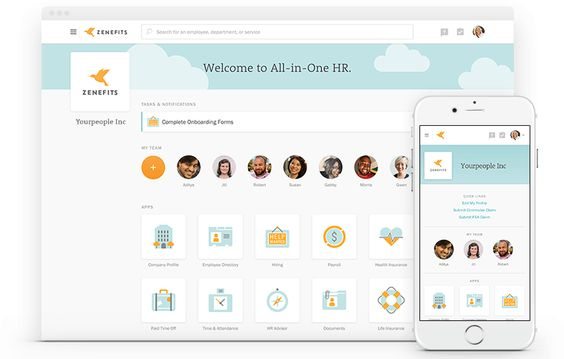 Nonetheless, Zenefits’ standard HR platform is a bit more robust including, for example, an HR library and org chart. Unlike Gusto, which doesn’t require an annual contract, Zenefits provides a nice discount if you sign up for an annual plan. However, neither of Zenefits’ HR packages include payroll processing. With Zenefits, the features shown below are add-on services in which you pay an extra fee per employee each month. Those fees can really add up. If you simply want basic HR, such as an employee database and document storage, Zenefits and Gusto provide about the same service in their entry-level package, except that Zenefits includes an org chart and HR resources, which Gusto doesn’t offer unless you upgrade. On the flip side, Gusto provides time off tracking, whereas Zenefits requires you to upgrade to obtain that. Zenefits has what they call a quick-start implementation. It requires you to sign up for courses with their Education Services team. Setting up your company with Zenefits may take about two weeks from the time you sign an agreement. Compare that with Gusto, which can be set up in the same day. Zenefits HRIS software takes about two weeks to set up. Zenefits provides an employee dashboard and mobile apps to support the various add-on services you purchase, such as payroll or time and attendance. Similar to Gusto, navigation is icon-based and intuitive, allowing employees to jump in and manage their own data without much training required. Zenefits payroll isn’t quite as easy to use as Gusto’s. Your setup requires you to provide documents and allow the Zenefits team to configure the software for you. If you import time and attendance data from the add-on service each pay cycle, you’ll review the draft, run payroll, preview the results, and approve the pay run. Your payroll isn’t final until it’s been funded, and it may take two to four days for employees to receive their direct deposit. Zenefits has its own timekeeping option that you can add on for an extra $5 per employee, per month. As such, it doesn’t interface directly with free time and attendance tools like Homebase and When I Work, as Gusto does. Zenefits is able to provide your business with employee benefits like health insurance in all 50 states. Like Gusto, it’s ACA compliant and offers built-in open enrollment and benefits management for your employees. It offers health insurance, life insurance, HSA and FSA accounts, and commuter benefits. Like Gusto, you can also set up a 401(k) plan for your employees through Zenefits’ third-party vendors, but it doesn’t offer a 529 college savings plan like Gusto does. When you upgrade to the Advanced plan, Zenefits offers Business Intelligence reports; otherwise, only standard reports are provided. Zenefits manages interfaces through Zapier in addition to the common examples provided below. In fact, Zenefits can export HR data to Gusto (for payroll). That may be a good option if you want the advanced HR features of Zenefits but the lower cost and easier-to-use options of Gusto’s payroll. Notice that Zenefits doesn’t have integrations into timekeeping or performance management systems? That’s because it offers those features as add-ons within its existing software, which is nice if you don’t mind paying for the upgrades. However, it limits your flexibility to choose the best of each software. 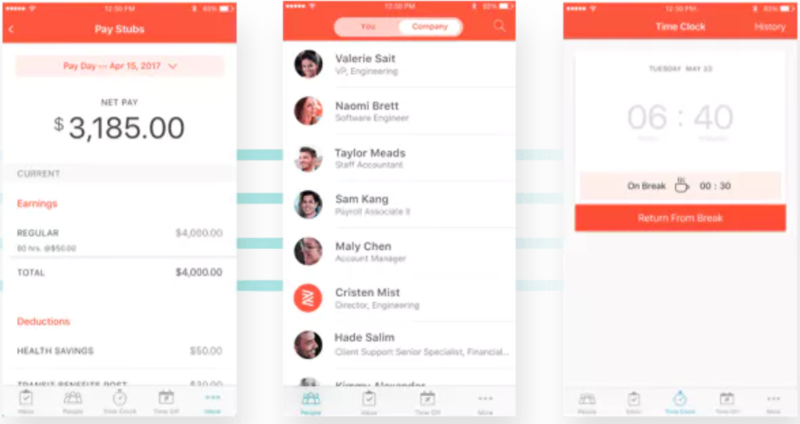 The mobile features within Zenefits are segmented into various apps, which is a bit different than how Gusto manages its menu-driven, all-in-one self-service portal. Your employees are likely to find the apps easy to use once each has been downloaded to their smartphones. Zenefits offers mobile apps for each of its services. Any business from 10 to 100 employees or more that wants to add on HR features like a company directory, org charts, employee benefits, or employee performance management may find Zenefits to be a great fit. It also integrates with payroll software, including Gusto, so that you don’t have to switch if you already like your payroll service. Schedule a demo for details. Both Gusto and Zenefits are easy to use. They’re both in the class of newer SaaS that isn’t tied to an older relational database model using spreadsheet-like effective dated rows and columns. In fact, Gusto’s setup can be done yourself in a few hours by answering a series of questions online, whereas with Zenefits, you’ll attend training through their Educational Services team and then work with their staff to get your software configured over about a two-week period. Gusto is designed for use by business owners, not HR experts and CPAs. That’s reflected in its common sense design and clean interface. However, they’ve recently added a dashboard feature for those businesses that outsource their payroll and HR services to an accountant, making it easy for bookkeepers and CPAs to support their clients using Gusto. Zenefits doesn’t currently offer an accountant dashboard. Gusto provides an easy-to-use system for employees, contractors, and admins. Zenefits is only slightly less intuitive than Gusto. Its interface is a bit more cluttered and it uses a tab-based design that may not always make sense to a new user or admin. That’s why Zenefits provides an Education Services team. New users, especially new administrators, need to be trained on how it works first; whereas with Gusto, no training is needed— the tool itself steps you through each process or change intuitively. 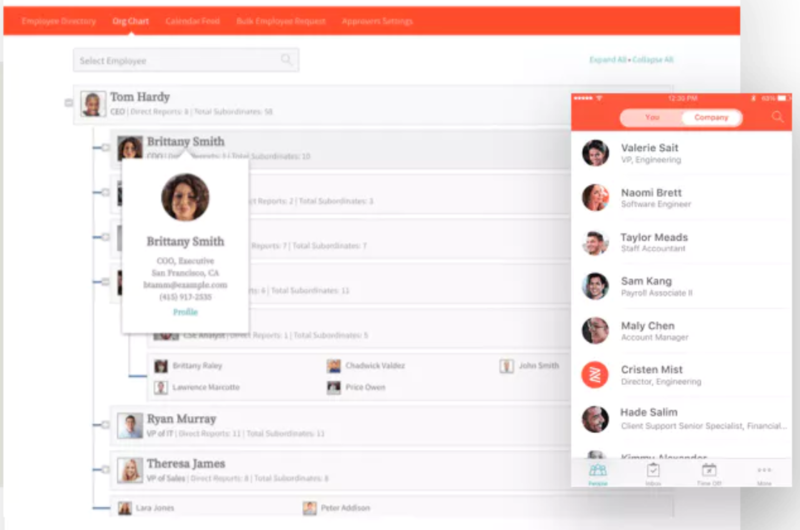 Zenefits user interface (UI) leverages tab-based navigation and drill-down options. Gusto receives top-notch ratings on their customer service, as does Zenefits. If you upgrade to the Concierge package with Gusto (increasing your monthly rate from $39 to $149), you’ll get access to certified HR experts. With Zenefits, you also have to purchase a package to obtain HR expertise, but it’s via an app, and the price isn’t a flat rate as it is with Gusto—it’s $8 to $16 per employee, per month, meaning your costs will increase as you add staff. If you have more than about a dozen employees, Gusto’s HR experts are much more affordable compared to Zenefits’. Even with Gusto’s Core package, you’ll receive unlimited phone, email, and online chat support. If you upgrade to the Concierge pricing tier, you’ll also receive a direct line for phone support and a dedicated support team that’s familiar with you and your business. In fact, their certified HR pros will help you with HR compliance questions as well as software issues. They can also advise you on tough employee relations concerns. Gusto’s hours are 8 a.m.to 5 p.m. Pacific Time, Monday through Friday, and the phone number can be found on its website. Like Gusto, Zenefits provides support via phone, email, and chat. Users can reach the Customer Care team directly from the software’s dashboard. They are available weekdays from 5 a.m. to 6 p.m. Pacific Time. They also provide a Help Center and an Educational Services team. If you upgrade to purchase HR or Payroll adviser services, you’ll have an app that gives you answers to common questions as well as an option to request a rep to call you. Unlike Gusto, Zenefits’ support phone number is not provided on their website. You can only request support from within the software. Gusto and Zenefits receive similar customer reviews—in the 4 out of 5-star range. However, Gusto is rated higher on payroll processing than Zenefits. Conversely, Zenefits is rated slightly higher for HR features than Gusto is. However, when it comes to employee feedback on sites like Indeed and Glassdoor, Gusto’s employees give top marks to their company and leadership, whereas Zenefits’ employee reviews are middling at best. Gusto earns solid 4-star reviews on third-party software review websites, including ours. Users like how employees can onboard and sign new hire forms themselves. They appreciate its accounting software integration, easy to set up direct deposit, and simple to use interface. If there’s a common complaint, it’s that support isn’t available on the weekends. Read feedback from dozens of small business users on our Gusto review. Zenefits receives great reviews as well, on par or slightly better in some cases than Gusto (depending on what review sites you read). Like Gusto, small employers like the all-in-one features. And similar to Gusto, the most common issue is related to their support hours, although a few users complain about payroll miscalculations and issues. Check out what others say on our Zenefits review. Gusto and Zenefits are both solid small business software products that can provide HR, payroll, and employee benefits in a self-service, cloud-based software. Gusto consistently earns our top spot for small business payroll software, whereas Zenefits is better if you’re looking for an HRIS option that can grow with your business. If you want an affordable way to give your employees a top-notch hiring experience, direct deposit, state-compliant payroll, an HR portal, and full benefits, Gusto is the HR and payroll software we recommend. 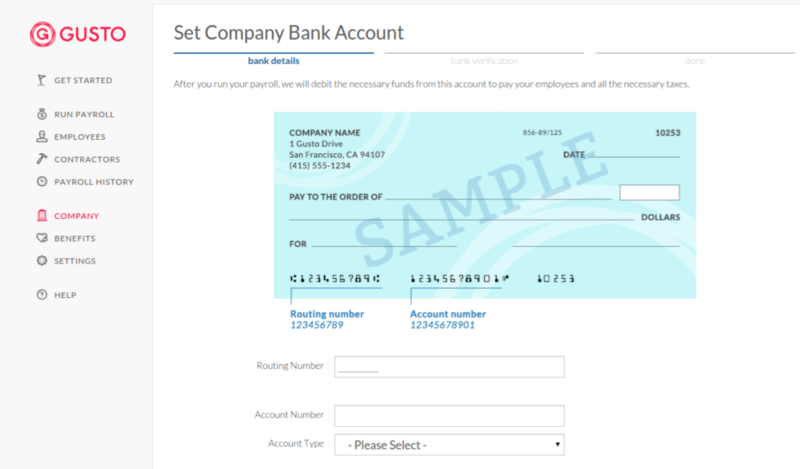 With Gusto, you can process your first payroll for free. Get your free 30-day trial.